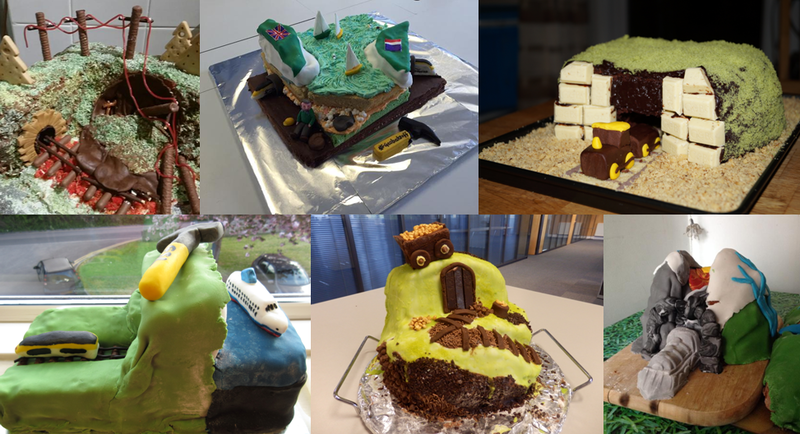 The 2015 Great Geobakeoff – the results! 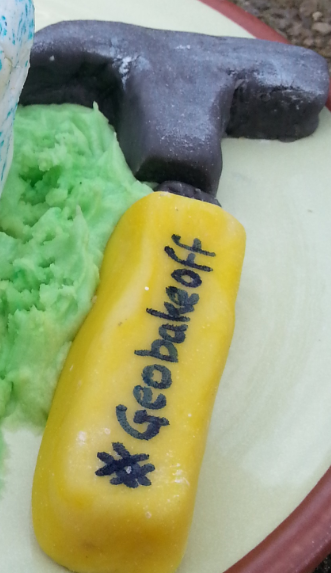 We launched the second annual Great Geobakeoff with some trepidation. Had geobaking fatigue set in? Was everyone too busy watching the General Election to notice? Is it in fact impossible to bake a hidden fossil cake? Of course, our concerns were needless. 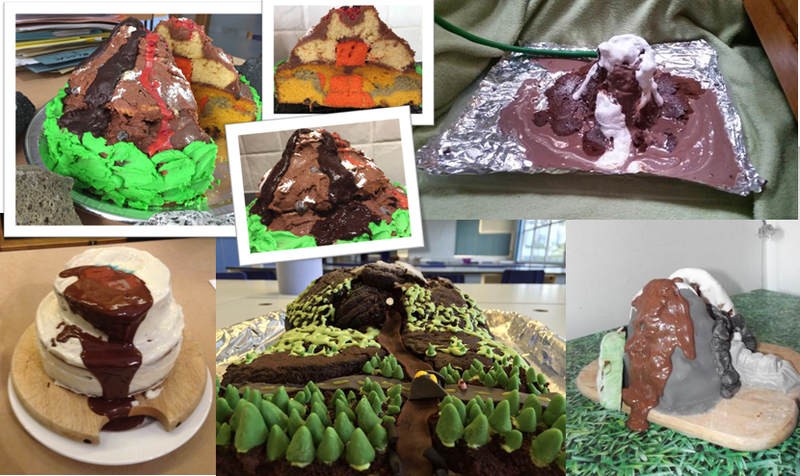 Once again, the geobaking world has answered our call to arms, and produced a wondrous array of edible geological constructions. Many thanks to everyone who joined in, and we hope your kitchens have since recovered from the carnage. Many thanks to everyone who submitted! We particularly enjoyed your lonely trees. 30 points for effort, geobakers. Now. 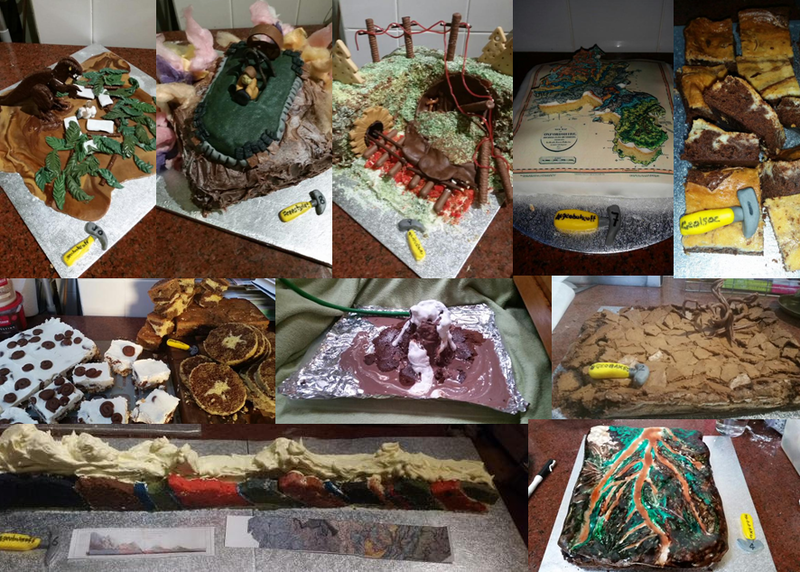 Had we known the lengths to which you would go to achieve a cake based lahar, we would definitely have assigned this challenge more than 30 points. Well done to everyone who lahared, and particularly those who sent us a video to prove it! At this point, we feel we owe you an apology, geobakers. 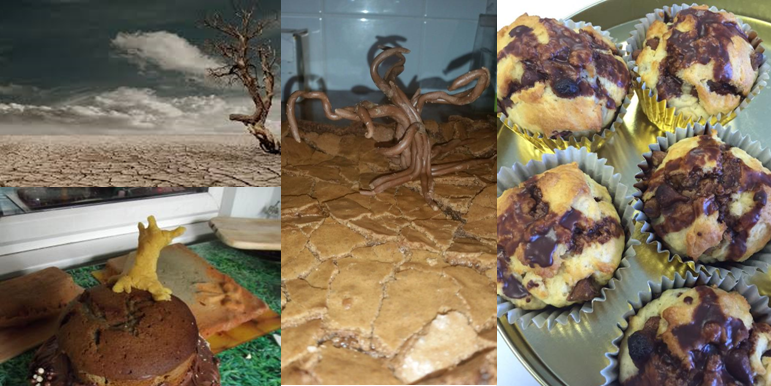 It turns out we know a lot more about fossils than we do about baking, and a hidden fossil cake is in fact nigh on impossible. Extra respect and admiration, therefore, to the many of you who took on the challenge and won! Did we mention it wasn’t easy…? Congratulations to everyone who took on this frankly ridiculous challenge. We’re sorry. We gave William Smith’s London to Snowdon cross section as an example, but there were many variations on the theme. 60 points to you all! A tricky challenge, and we received just one entry for this category. But we only needed one, because it is magnificent. LOOK AT IT. We left the engineering challenge this year fairly vague, and you answered it in style! 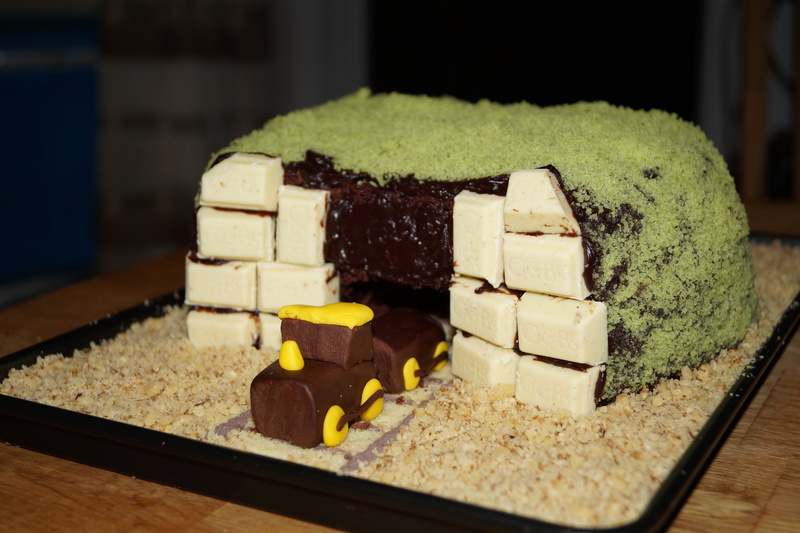 We had the Channel Tunnel, a mine, even the Harbury Tunnel landslip – an impressive 90 points to you all! It has become somewhat traditional for the 100 pointer challenge to feature a scene from Jurassic Park*. (Naturally our favourite film.) Last year, it was hatching velocirapt0rs. This year, we took things one step further, and asked for this iconic scene. As a cake. 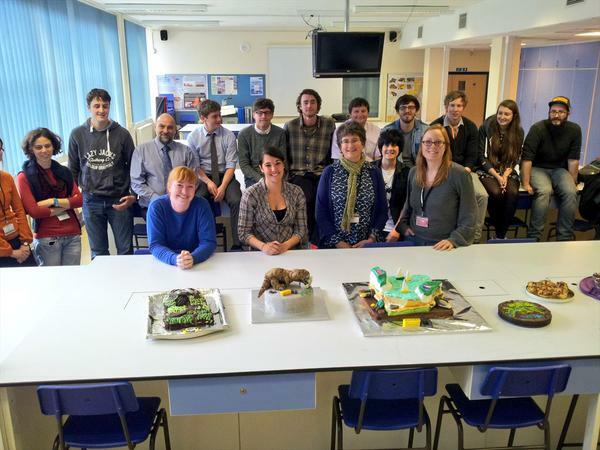 Swiftly followed by an equally amazing depiction from the Plymouth University geobakeoff…. Congratulations and 100 points to all our intrepid toilet death scene bakers! …closely followed by Karen, Debbie & Alex with 100 points for their Jurassic Park Toilet Death scene! 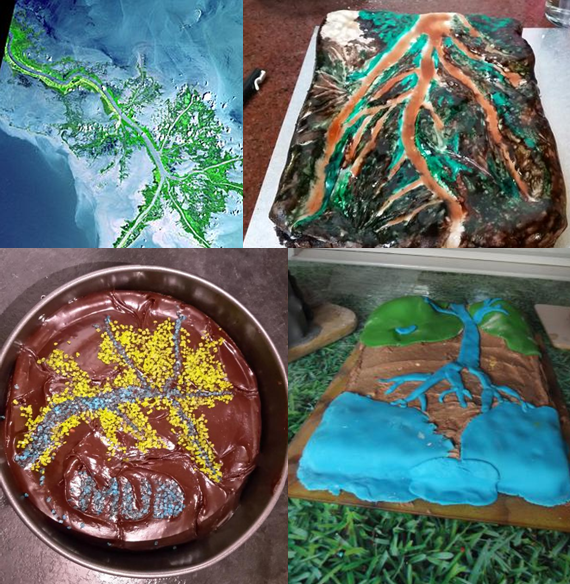 190 points to Alexandra Booer, for taking on a Mississippi Mud Pie complete with geological map, hidden fossil cake, tunnel cake and mudstone! 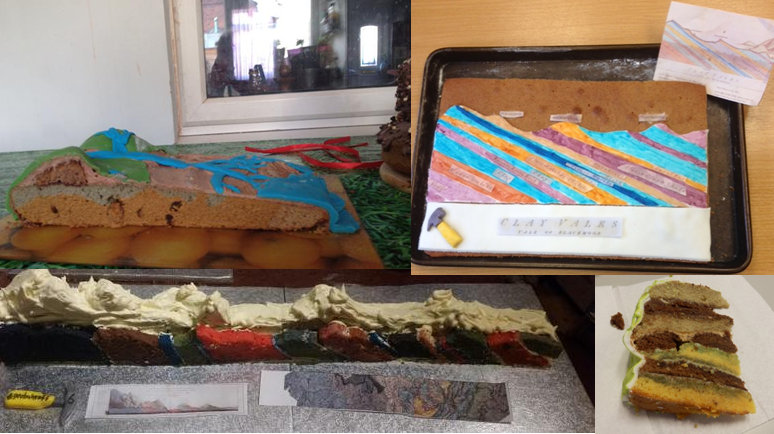 410 points to Sarah Snell-Pym and her intrepid geobaking team, Jean and Mary, for their ‘geologist despair’ cake montage! 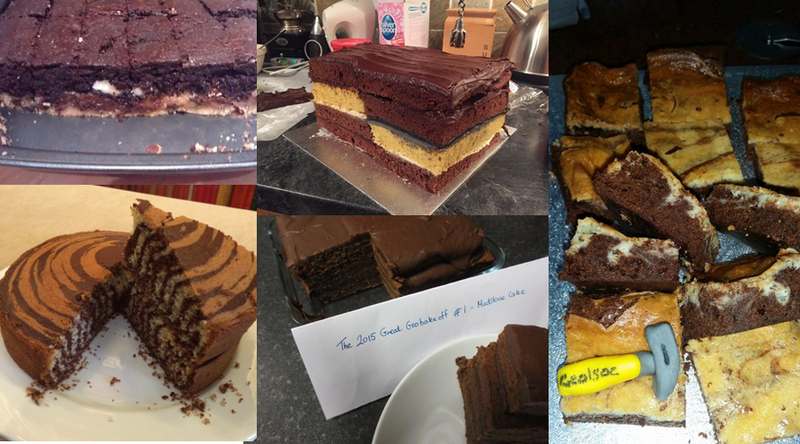 And conquering every geobakeoff challenge for the second year running, 570 points to geobakeoff queen, Liz Laycock! 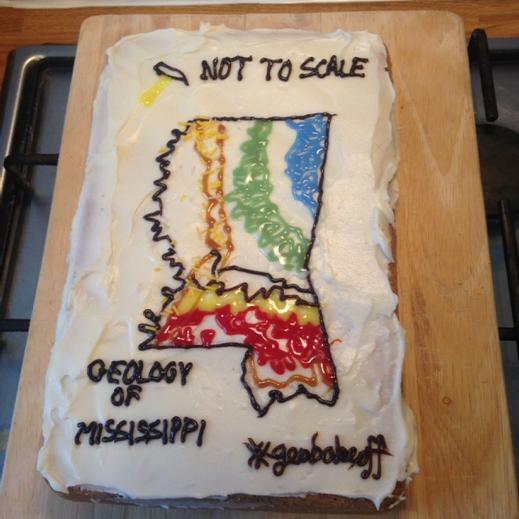 This concludes the 2015 Great Geobakeoff – thanks to everyone who joined in! Hopefully we’ve all learned something. 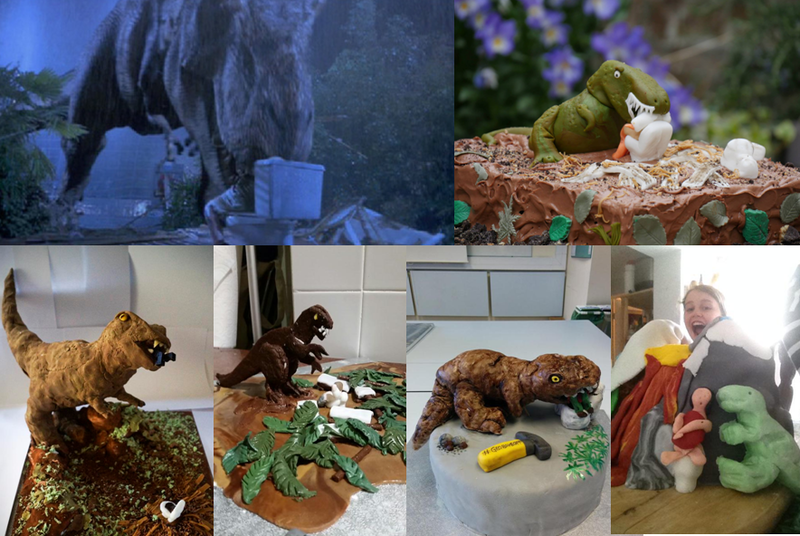 Not least, that hidden fossil cakes are really hard, and toilets are equally as difficult to construct as T Rexes. *Suggestions for next year’s Jurassic Park scene are gratefully received. Or maybe we should wait for Jurassic World to come out? 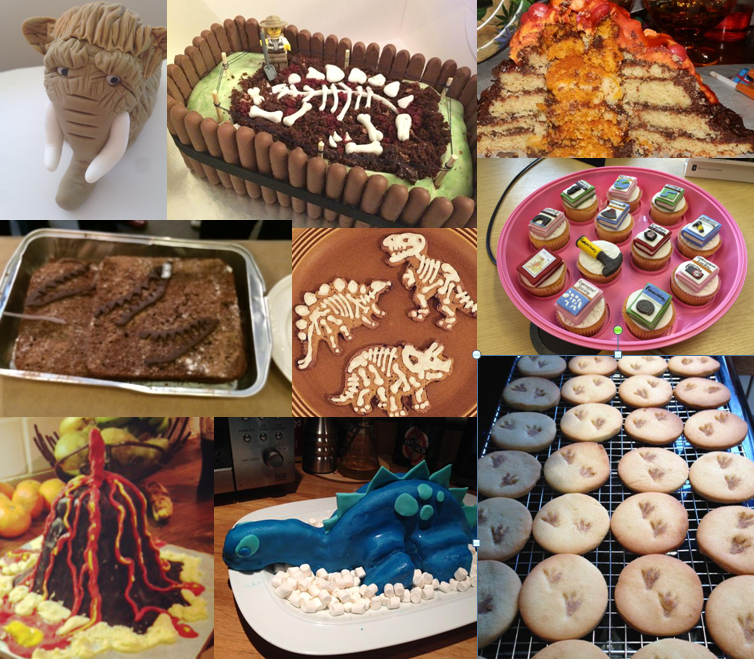 Tags: activities, art, fossils, geobakeoff, geography, geology, jurassic park, outreach. Bookmark the permalink. This post has to be one of the best in the history of the web – after all, it’s not often you get to use the phrase “intrepid toilet death scene bakers”. 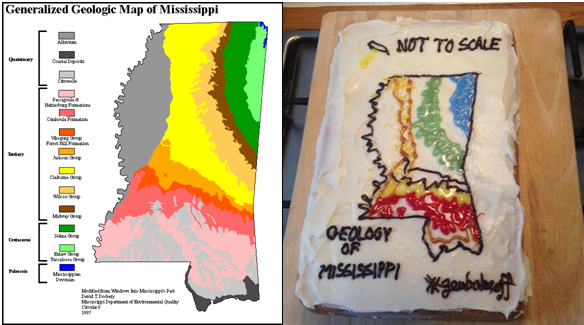 Well done to all the talented geologically minded bakers.